As we head into the summer, some students may feel they haven’t made enough friends to socialize with. It’s a concern that’s common across campus. For graduating students you are moving on, and likely hoping to instead develop lasting relationships in a new institution or field. And for any underclassmen, you may be thinking there are still many quarters for you to cement valuable friendships. Fortunately, spring quarter provides ample time for anyone to find more people to add to their social circle. No matter how self-sufficient you feel you need to be in college, there will always be a point in your time here when you’re going to need find someone to rely on. Whether that manifests in the form of a study partner or a genuine individual who transcends classroom small-talk and becomes a valued friend, making that connection will prove useful. As dispensable as most people may seem in the pursuit of a degree, there are some friends who’ll stick around for the long run. It is these relationships that are important to foster in college. Even though making friends here isn’t necessarily easier than in grade school or the workplace, there are many more opportunities to do so than any other institution. Potential companions are everywhere, you just need to know where to search. Look for the lost ones. Everyone has been in class, sat near the back and scanned the classroom to lay eyes upon a few classmates who looked bewildered at the current material. Those are the people who are likely looking for a comrade-in-arms to tackle the class with. Make sure you try to sit with these people and make acquaintances because a lot of small interactions in class can develop into considerable friendships. No one should have to go through a troublesome course alone, so if you find a friend to sulk with after an average test grade or someone to roll your eyes to when the professor starts rambling nonsense, keep them close. Joining an on-campus club or organization is one of the easiest methods of honing in on potential friends. The best part about school organizations and clubs lies in the fact that they involve people who share similar interests under the same branch of activities. Since humans are creatures of habit, it becomes easier to get along with someone if the chance of being exposed to them on a regular basis is ensured. Clubs can often act as a community for people who yearn for that feeling of family outside of their own flesh and blood. Joining one is the quickest way of ensuring you’re a part of something bigger than yourself, while also befriending others who share and respect your interests. Making friends in college isn’t always easy, but the possible benefits that can be reaped from standing on the front lines outweighs any initial feelings of discomfort. No matter how old people get, there’s always going to be someone along the road who yearns for friendship. 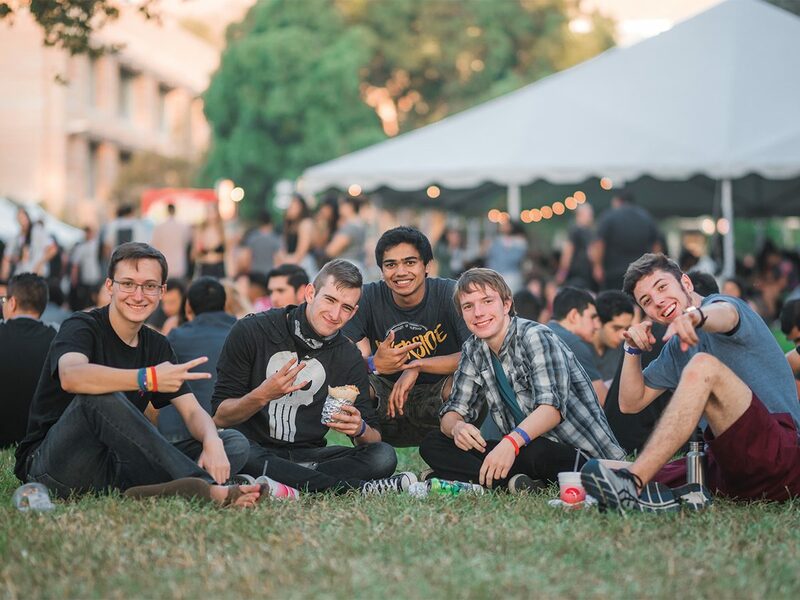 Being in a college setting is a great situation for anyone looking to develop a social group simply because of the quantity of peers we interact with everyday. Keeping that in mind, it’s important to realize that seizing opportunities to establish a bond with someone is always in front of us. Having an open mind and the intrinsic desire to want to expand our horizons is always a good start.